Sometimes bad luck follows you and if its not one thing its another. 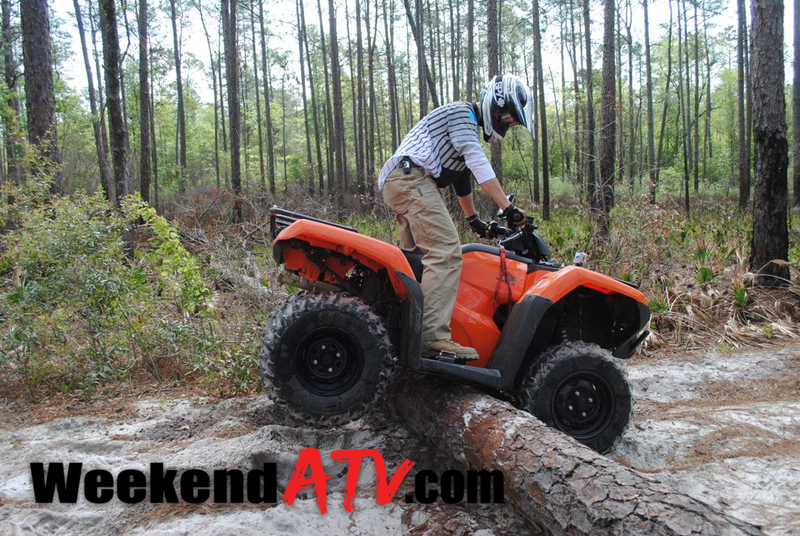 For ATVs that are out of warranty this can mean costly repairs. Neecy’s Polaris Hawkeye had two failed front outer CV joints wthin a few months time. There was no visible warning before. There were no torn boots, noises or strange feelings when driving. When the first joint failed I went to my mechanic and asked for his recommendation thinking it was time to order a CV joint. He explained that the best deal is a complete axle replacement from The CV Man at CV Restorations. CV Restorations is a manufacturer in Jessup, Maryland. For over 20 years CV Restorations has been manufacturing CV joints, axles and other ATV parts. My mechanic explained that I could spend $100 for a new joint and about that much for labor. All the while, the CV joint and boot on the other side of the axle is wearing away and could also fail at any time. Alternatively, I can spend $200 for a complete CV Restorations Monster Axle. The complete Monster Axle is fully assembled with two CV joints and thick CV boots on the ends of a heavier duty axle than the stock offering. Plus the labor to replace the whole axle is only about half the labor cost to replace a joint. It’s all common sense at this point. The Monster Axles are no joke. According to CV Restorations, the bars are almost one inch diameter and are constructed of 43/40 cromolly steel. The boots are thicker than stock making them more puncture resistant. 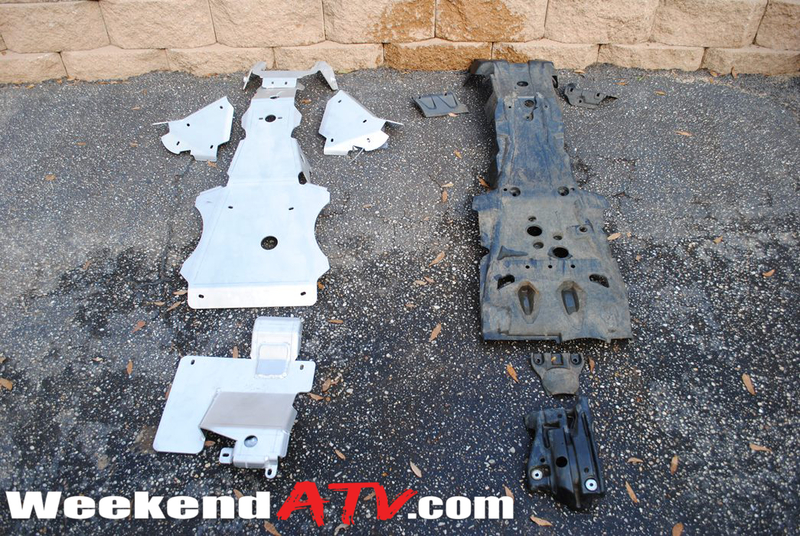 Despite the better quality they are still direct replacements for the OEM parts. This means you can replace a broken OEM axle with a Monster Axle and leave the other axles stock. To back up their quality, CV Restorations offers a one year parts warranty on everything but the CV boots. 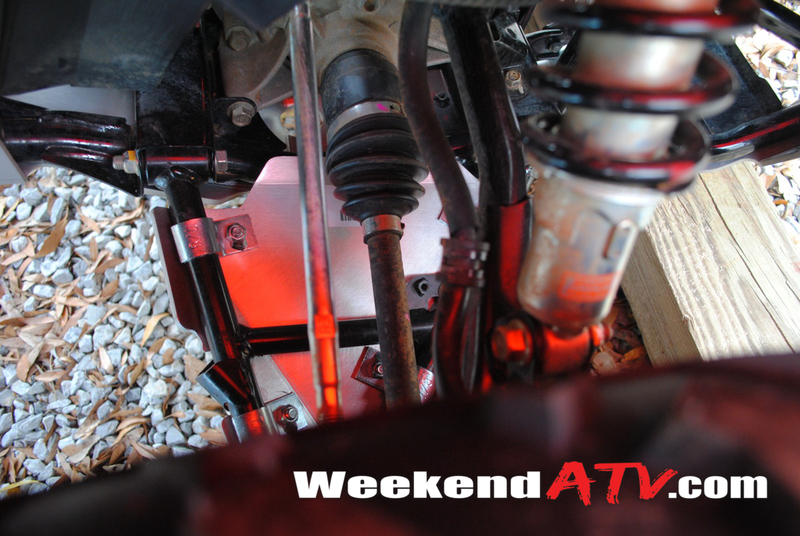 CV Restorations offers a full line of CV boots, joints, axles and many other driveline parts for virtually every model of ATV made. To check out their Monster Axles and other products see their website at www.thecvman.com. 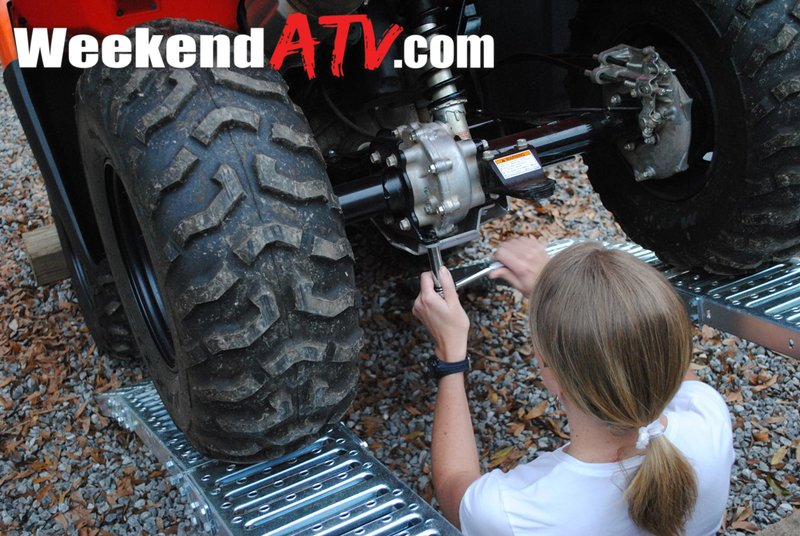 It doesn’t take too long to learn that CV joints and boots need a little extra protection. They aren’t particularly cheap or super easy to replace, but they are often susceptible to damage. Rubber boots are easily pierced by debris on the trail allowing mud, dirt and water to penetrate the CV joints. The older the boots are the more brittle they will become. 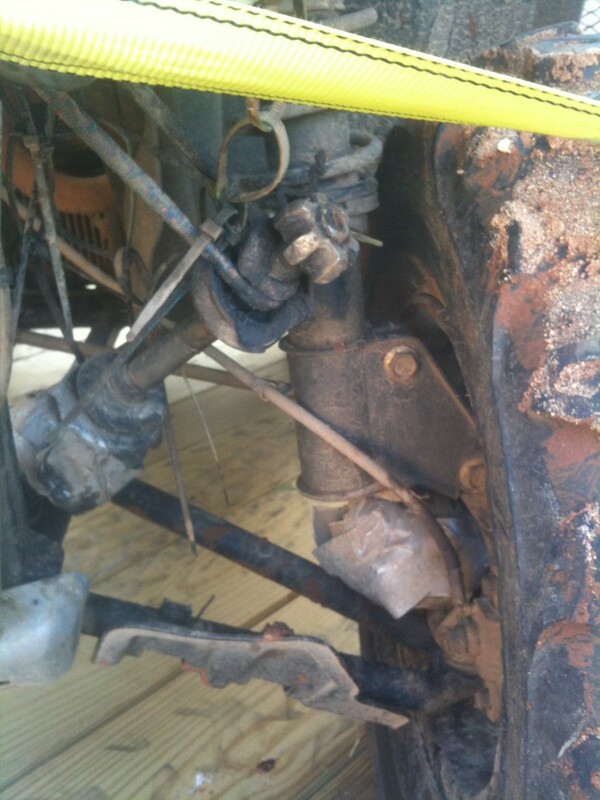 Neecy’s Polaris Hawkeye 4×4 suffered two blown CV joints within a couple of months. We replaced them with new Monster Axles, and it was was time to protect that investment with a set of CV boot guards. Failed CV joint, causing the entire axle to come loose. We tied it out of the way with a bungee cord to finish the ride. I picked up a set of Cycle Country CV Boot Guards (sometimes referred to as A-arm guards) off ebay. They are also are available from many retailers. The guards are very solid, made from 12 guage steel and finished with a powder coating. Not only will they protect the boot and joint, but it will also help protect the A-arm itself from damage. It is a huge upgrade from the flimsy stock plastic found on the Hawkeye from the factory. The Cycle Country guards were super easy to install. For the Hawkeye, start by removing the two screws holding the factory guard in place. Then remove the factory guard. Next place the Cycle Country guards under the A-arms and bolt them into place with the U-bolts. As the bolts tighten up make sure the guards are in the proper spot. The guard should not come into contact with any part of the frame, bumpers, wheels or tires while stationary or while riding. Once you finish tightening them you’ll need to cut off the excess bolt sticking out below so they don’t catch on anything. After a short ride recheck the position of the guards. Readjust and tighten as needed. Checking the position of the guards should be a part of your regular maintenance plan. 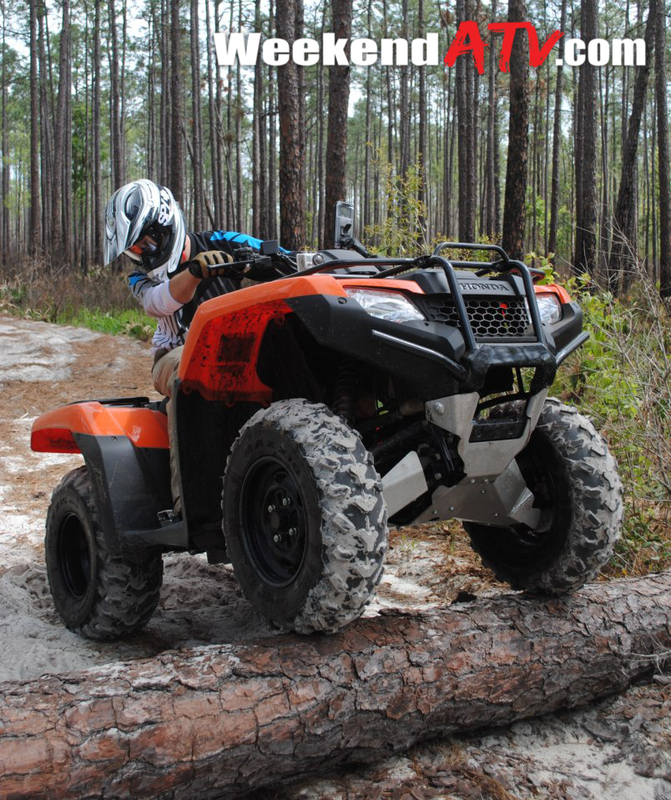 Now your ride is much better protected from costly damage that can easily be found on the trails. Prices vary by application. 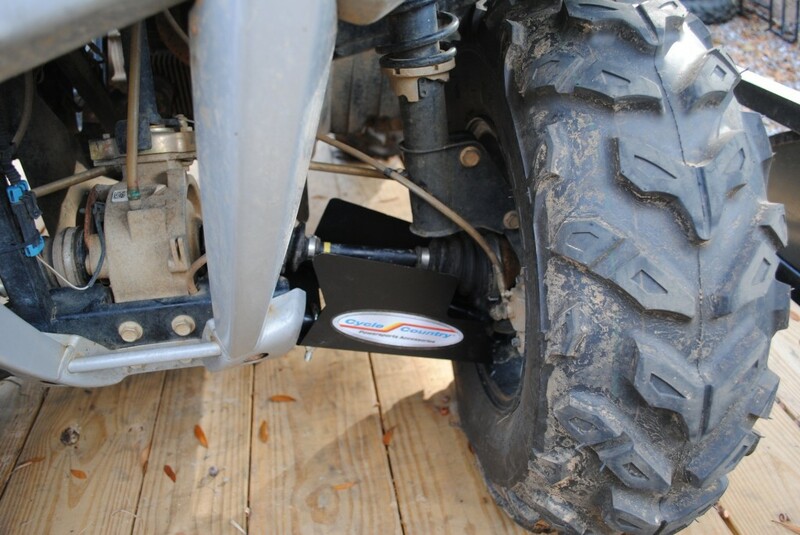 Rear guards are also available for many applications. 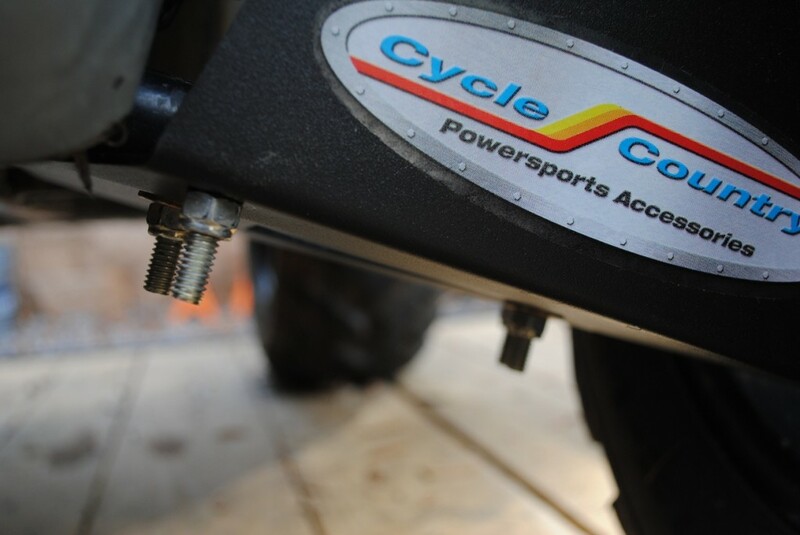 For more information, including a fitment chart and other accessories, see Cycle Country at http://www.cyclecountry.com.